Thoroughly pampered. 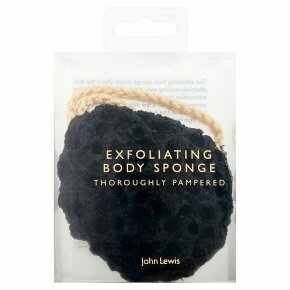 Our exfoliating body sponge deeply cleans the skin, effectively washing away dirt and other buildup skin accumulates throughout the day. Immerse the sponge in water for a few minutes to expand and bring it to life. Use in the bath or shower for soft and fresh feeling skin.